First off, I would like you to take a moment to answer the following five questions. You can either write your answers down or remember them in your head. Please be honest with your answers. 1. Does your spouse or partner complain that you spend too much money? 2. Are you surprised when your credit card bill arrives at how much more you charged than you thought you had? 3. Do you have items in your house that you never use? In fact, do you have some items in your house that still have the price tag on them? 4. Do you own every new gadget that has been released in the last year? 5. Do you buy things you didn’t know you wanted until you saw them on display in a store? If you answered “yes” to any two of the above questions, you are an impulse spender and indulge in retail therapy. This my friend is not a good thing. This impulse spending will prevent you from saving for the important things like a house, a new car, a vacation or retirement. We need to work together to set some financial goals and a budget for you so that you can resist spending money on items that really don’t matter in the long run. To overcome the problem, the first thing to do is learn to separate your needs from your wants. Figure out your cost of housing and food per month. The figure out the cost of transportation, and whatever monthly loans, bills, and insurance costs you have to pay. Then subtract those amounts from your monthly income. Whatever is left should be delegated to your savings and non-essentials or wants. Now remember, deciding how much to spend on non-essentials (entertainment, dining out, shopping) and how much to put away in your savings can be tricky. Remember to put into savings the max you can afford. Next, when you do go shopping, make a list and take only enough cash to pay for what you have planned to buy. Leave your credit cards at home. This way you will be forced to stick to your budget and no allowances can be made for an impulse buy. However, if you see something you think you really need, give yourself two weeks to decide if it is really something you need or something you can easily do without. Lastly, set some financial goals. Where do you want to be financially in the next year, 5 years, and 10 years? Do you want to retire by age 50? Do you want to travel for 6 months on savings? Do you want to pay off your mortgage in 5 years? Do you want to pay cash for your child’s college tuition? Whatever you goals might be, make them a realization in your life; make them a priority. By doing this, you will have a pre-determined purpose for your money and you will be less likely to spend it on frivolous purchases. By following this three simple steps you can avoid impulse spending and financial disaster. In turn you will reach your financial goals, improve your relationships, and reduce the stress in your life. So, are you an impulse spender? What are you going to do about it? 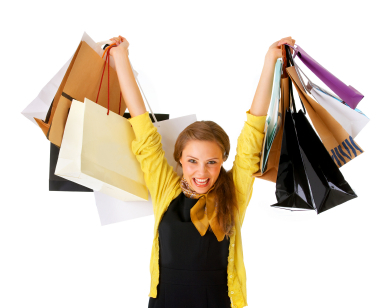 If you currently aren’t an impulse shopper, how do you avoid falling into that trap? Please share. I am an impulse shopper but ever since I realized that I was, I have been paying more attention to what I spend my money on. I also do like mentioned in this article, when I get paid I take out a specific amount of money that SHOULD last me until the next pay cheque and leave the rest in my account to see if I dip into it before the next pay day. So far I have been doing well. Although it is hard to do, especially with spring here and all these fun new fashions coming out….oh boy! @ Betty Yes controlling your spending can be hard sometimes but it is worth it in the long run. Good for you for identifying a system that works for you in controlling your budget. I’m not an impulse shopper. I learned back in college that I couldn’t afford to buy everything I wanted. Probably one of the best parts of having to work to get my college education, rather than have it handed to me. My favorite way to avoid impulse purchases is to walk away and look at other things for a time. If I still want the item, it will probably be there later that day or even another day. There aren’t many impulse items that are so urgent they need to be purchased on sight. @ Stephanie Good idea. Waiting and taking time to reflect can often curb impulse spending. Great article. Impulse spending can derail even the most solid budgets and I’m so glad you addressed this topic. I wish I would have had your article back when I was younger and would go to the shopping mall for entertainment, and come home with too many unplanned purchases! @ Eliza I hear you. I unfortunately did much the same as you in my younger days. At least going forward we are doing better right. Plus we can teach our kids to be smarter. Teaching kids to defer instant gratification is one of the best things we can do for them. It’s not easy, but it’s important! You are right, it isn’t easy. Learning how to be patient though is really important. As an adult I am still working on developing mine and it is tough. Hopefully I will do a better job with showing patience with my kids than my parents did with m.